Movers and Shakers is a list of products on Amazon that are currently rising in the rankings. This week: leather conditioner, Shonda Rhimes' Year Of Yes, bar earrings, and a vacuum-sealed wine cork! Amazon has a list of products called "Movers and Shakers", which is pretty much just fancy talk for things that are currently ~trending~. 1. A super useful tin of leather conditioner and scratch repair for bringing new life into all of your worn leather bags, jackets, and even furniture so you can use them over and over again. It's formulated with an all-natural ingredients and made with different oils and waxes to clean and shine all things leather. See a promising review here. 2. A clear phone case with an electroplated frame that'll protect your phone from cracks while looking absolutely stylish every time you pull it out of your pocket. 3. Year of Yes: How to Dance It Out, Stand In the Sun and Be Your Own Person by Shonda Rhimes for learning to take life by the horns and take chances that'll eventually lead to success. 4. A handy car vacuum (that'll plug right into your cigarette lighter! ), because you'd love to be able to get all the spare fast food fries from in between your bucket seats without breaking a sweat. The set includes one stainless steel filter, one brush for loosening trash, one tube to get into the cracks and crevices of your car, and one soft, long tube to get into hard-to-reach areas! You can also easily clean it with soap and water. 5. A useful sewing kit that'll be ready to mend all the tears and rips in your favorite T-shirt you're just not ready to give up yet. It includes needles, thread, safety pins, a seam ripper, fabric measuring tape, and a thumb guard. 6. 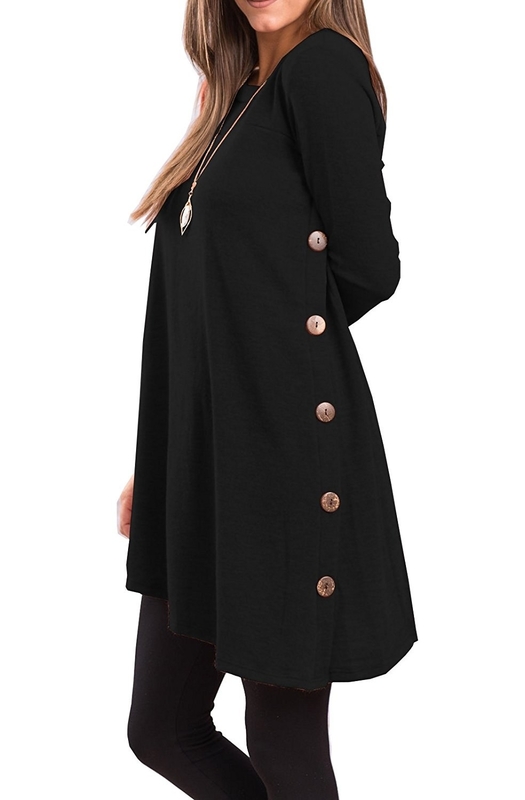 A fashionable tunic dress with buttons — it'll be perfect to pair with some leggings when the mood to be comfy AF strikes! 7. A set of tire pressure gauges to let you know if you need to put some more air in that one back tire that keeps giving you problems — you'll never be caught out on the road with a flat ever again! It has a non-slip texture for a more accurate reading of tire pressure as well as a nozzle to form a seal between the device and tire. 8. A totally creepy Boo hat that'll scare all of your Mario Kart opponents into losing another round. 9. A workout bar you can fasten to the outside of any door in your house so you'll save you wads of cash money doing pull-ups and other bodyweight exercises in the comfort of your own home! It has three grip positions and fits doorways up to 35.4 inches, and can help you do pull-ups, push-ups, chin-ups, dips, and crunches. 10. A durable Apple Watch sport band made out of soft, breathable silicone, because you really need a strap that's up for your marathon training and all the sweat that comes with it. The bands come with watch lugs on both ends to latch onto your Apple Watch as well as a hypoallergenic clasp to prevent any kind of allergic reactions. 11. A non-slip tiered spice pantry organizer to place in your cabinet so all of your spices and sauce cans can be right in your eyesight when you need just a dash of paprika. 12. A wooden corner spoon that'll help you create the best spaghetti sauce of 2018 while scraping all the spices from the sides of the pot. This spoon is totally safe for non-stick cookware! 13. A quirky, geeky hippo print you can hang on any and every wall you have, since you want everyone to know about how trendy you are. The print is made out of an old dictionary page — the artist uses old books that were going to be thrown out and destroyed and turns them into cool pieces! 14. A reliable pet fountain to give all of your furry companions the right amount of water to keep them nice and hydrated while you aren't home (and even when you are)! It includes a water pump, two charcoal filters to make the water clean and tasty, an AC adapter, plus a normal spout and flower spout for even more fun. 15. A spikey massage ball for stimulating your circulation and trigger points after a hard workout so you won't be ridiculously sore the next day. The ball is made out of resistant plastic to withstand your bodyweight for an even more efficient massage. 16. 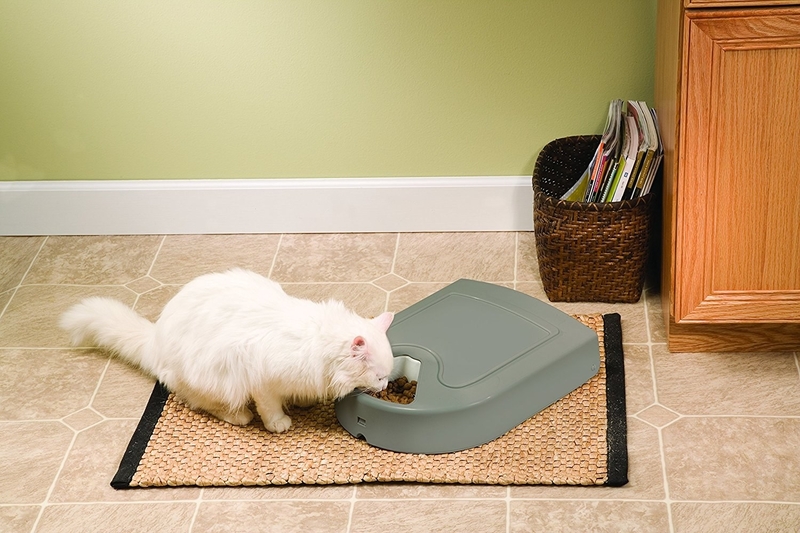 A timed pet feeder to make sure your cat or dog gets some dinner in a timely manner. Plus, it'll help prevent them from overeating so you won't have to buy as much food for them later on! 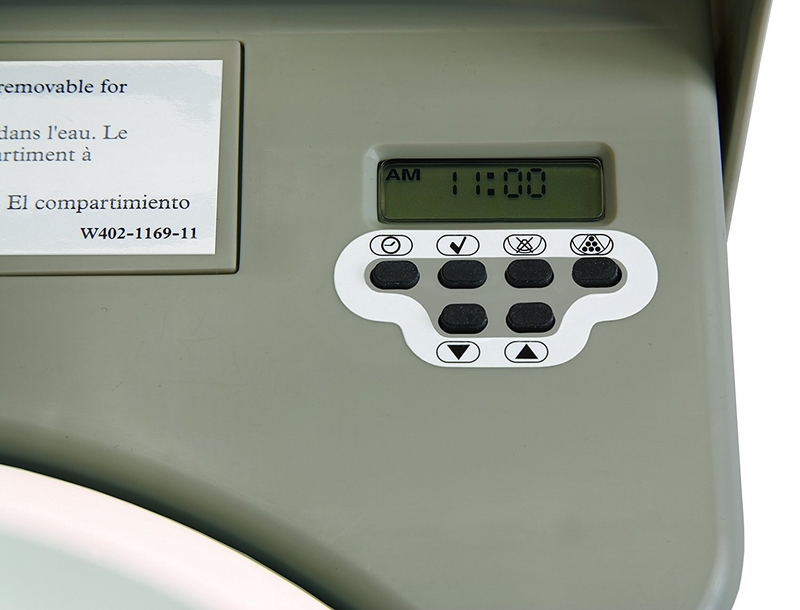 It has a digital programmable clock so you can schedule five meals for your favorite pet. 17. A pair of elegant gold-plated bar earrings that'll spice up your already gorgeous outfit with a bit of classic beauty. 18. A kiddie golf set, because your child is a Tiger Woods in the making, which means they have to start practicing their long drives ASAP. The set includes two golf clubs, three golf balls, a hole-in-one and a golf cart. 19. A pair of scented candles (the one pictured is water lily pear) to set the kind of relaxed atmosphere you deserve once you get home from a long, stressful day dealing with other humans. 20. A vacuum-sealed wine cork for keeping the crisp flavor of your favorite Sauvignon for up to a week, because you'd like to have the same orgasmic reaction to great alcohol for as long as possible. It contains one vacuum pump and two bottle stoppers that are compatible with ANY wine bottle (red or white)! If you want to see what else is trending on Amazon right now, click here! Check out last week's Mover's and Shakers here.